We’ve past the quarter pole and made the turn for home! 21 Mar We’ve past the quarter pole and made the turn for home! With only 45 days left until the 145th Kentucky Derby, there are only a few days left to get your custom Derby outfit started. Our mills have filled our fabric library with color, bold patterns, and an incredible selection from some of the world’s finest including Marzoni, Guabello, Carlo Barbera, Drago, Holland & Sherry, Gladson, and many more. 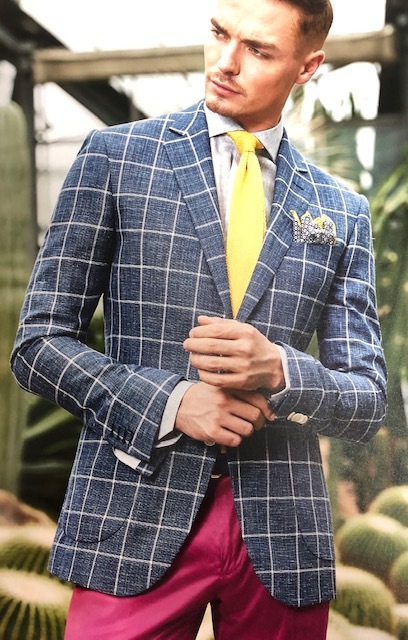 You select the fabric, buttons, lining, pic stitch & design and we will build your custom suit, sport coat, trousers, & shirts “just for you”. With Kentucky Derby only 45 Days away it’s time “Saddle Up” and get your special Derby outfit ordered. Our deadline for Derby and Oaks orders is this Friday March 22nd. Please call our wardrobe hotline today 502.417.0324 or email KennyG@ExecutiveImage.com to schedule your wardrobe appointment.